Sora Films Blogger Template is the perfect theme for a movie review website. The theme comes packed with features which make it ideal for reviewing. Sora Films supports YouTube videos. 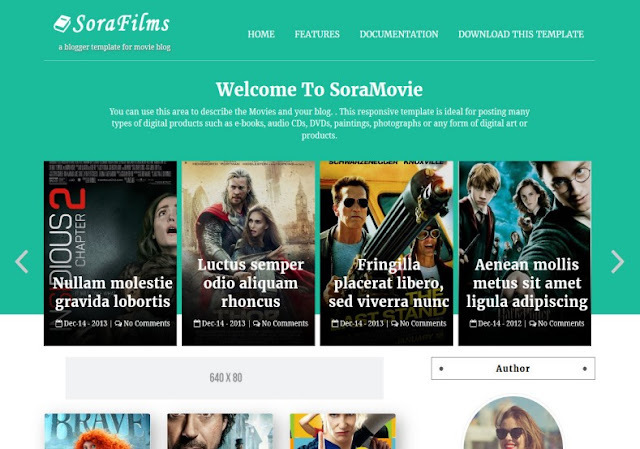 Sora Films Blogger Template is very easy to customize. We created every element as a widget so you can easily put it almost anywhere. Show off your work with this easy-to-customize and fully featured Blogger Theme.